Although Africa seems to have played a pivotal role in the evolution of early mammals, little paleontological work has been carried out in western sub-Saharan Africa. Unlike neighbouring Morocco, which phosphates have been intensely mined and yielded one of the richest known Paleogene vertebrate faunas, the phosphates of Senegal have remained largely unexplored for decades. 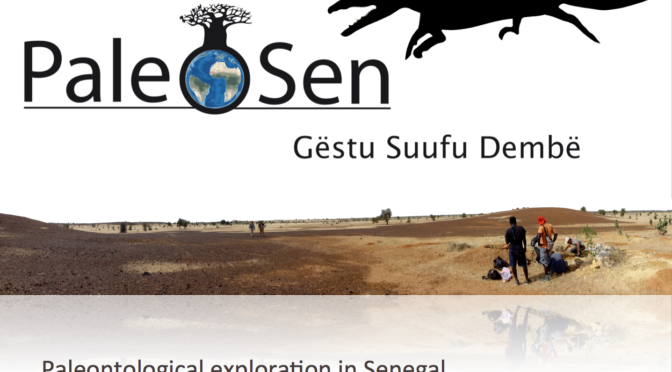 The primary aim of the PaleoSen research project (www.paleosen.com) is to document the exceptional Paleogene vertebrate faunas of Senegal by prospecting previously unexplored sedimentary basins. 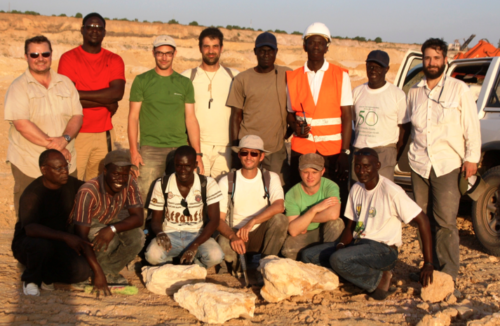 Since 2010, our team organized several paleontological field expeditions into Eocene deposits of Senegal that revealed an untapped fossil resource. These pilot surveys discovered numerous vertebrate fossils, including an unexpected Pliocene fauna. The continued exploration of fossil bearing horizons in Senegal has the potential to greatly improve our knowledge of the origin and evolution of African mammals. It will also provide pivotal data to examine the potential connections between African and New World faunas, as well as the role continental drift played in driving their evolution. Fabrice Lihoreau est paléontologue spécialiste d’un groupe d’ongulés éteint, les anthracothères. Il est maître de conférence au sein de l’Institut des Sciences de l’Evolution de Montpellier (ISEM), dans le sud de la France. Fabrice Lihoreau is paleontologist specialist of an extinct group of ungulates, the anthracotheres. He is professor assistant at the Institute of Evolutionary Sciences at Monptellier (ISEM), in southern France. 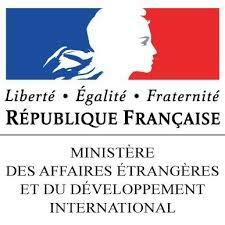 Lionel Hautier est paléontologue et étudie le rôle du développement dans l’acquisition de structures morphologiques majeures par divers mammifères fossiles. Il est chargé de recherche CNRS, également au sein de l’ISEM. Lionel Hautier is paleontologist and study the role of development in the acquisition of major morphological structures by various fossil mammals. He is CNRS researcher at the ISEM. Organisateurs du séminaire / Convenors of the seminar series: Behailu Habte (ARCCH), Tomas Getachew (ARCCH), Jean-Renaud Boisserie (CNRS, CFEE), & Yonas Beyene (associate researcher at CFEE, ARCC-Hawassa).